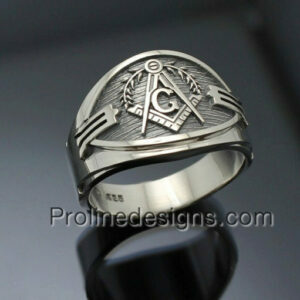 * Weighs approx. 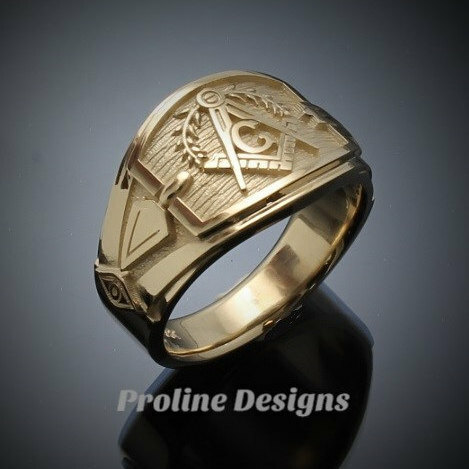 18 grams. 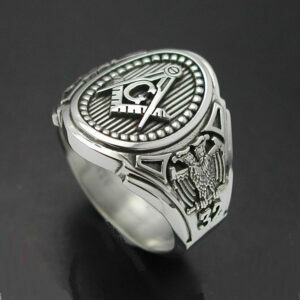 * Each side has the symbolic Double Headed Eagle. 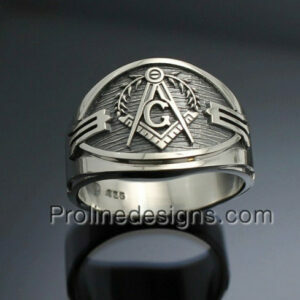 Wonderful craftsmanship! 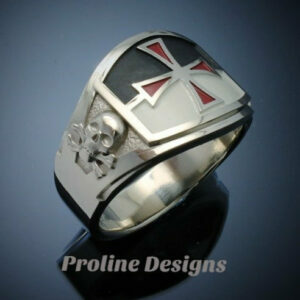 Knowing that each ring is made upon being ordered really makes it feel like that unique handmade piece. Dozens of Brothers in my Lodge have them, and it’s obvious as to why after slipping it on your finger. 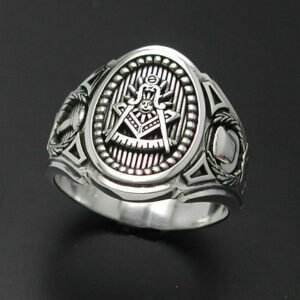 Thanks for your hard work and creativity!!! 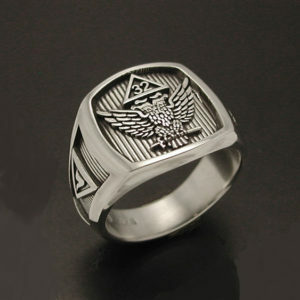 Received the ring in plenty of time for Christmas even though I ordered after the cut off for a Christmas delivery. 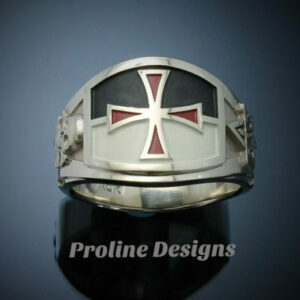 (I did email the seller and he said he could have it to me before Christmas so I didn’t have to cancel my order.) 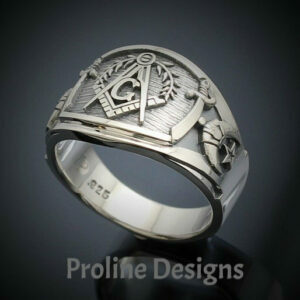 I haven’t had a chance to look at the ring yet because my husband has been around since I received the ring. 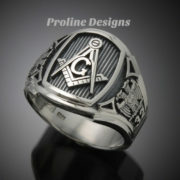 Just opened box love the ring can’t wait to see the look on his face when he opens this. 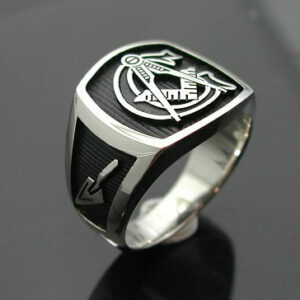 Thank you for working with me on the delivery time. 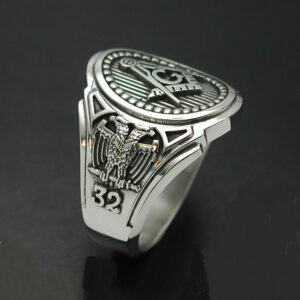 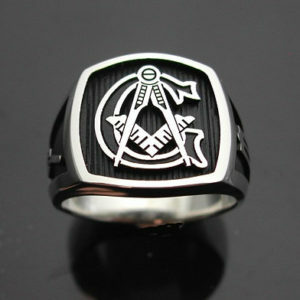 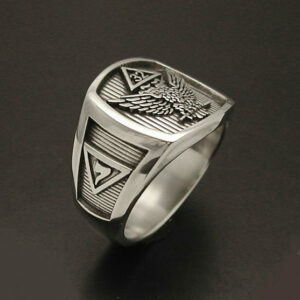 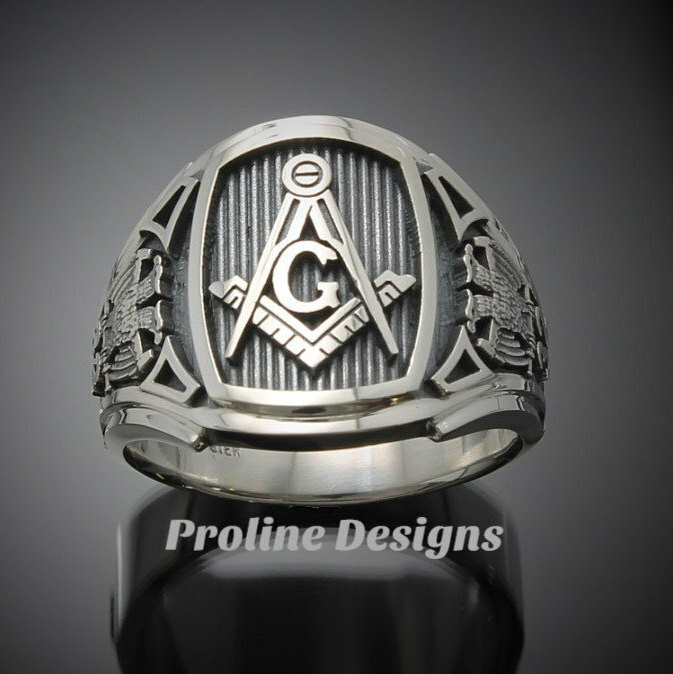 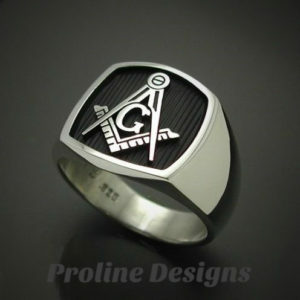 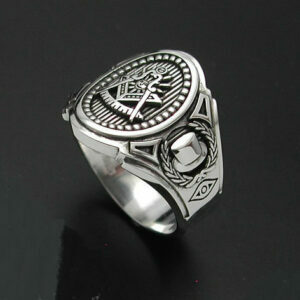 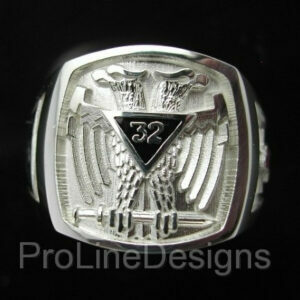 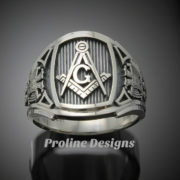 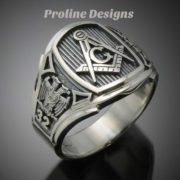 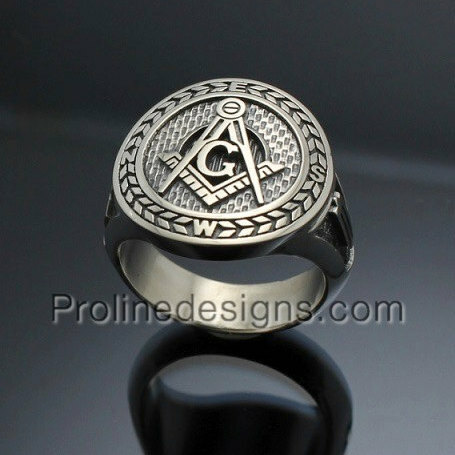 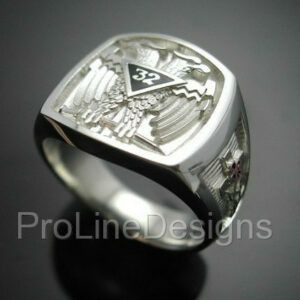 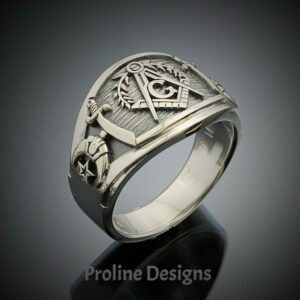 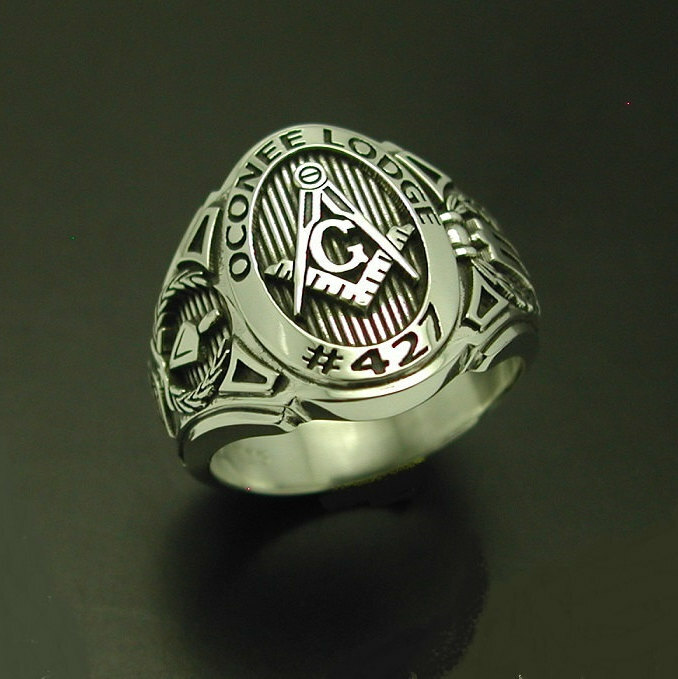 Masonic Ring in Sterling Silver ~ Cigar Band Style 040 "Seeing eye"